Posted on April 11, 2017 by Billy S.
The Custom Code item is a simple but powerful item. The ability to add code directly to the form can make lots of tasks easy and efficient, but can also cause problems. If your Custom Code is targeting a form item, the Custom Code item needs to appear after the affected item in the form. Consider making a copy of the form and testing your custom code in the copy until it’s working exactly as it should. That way, if the code causes the form to become non-responsive or otherwise causes problems, you can trash it and make another copy. 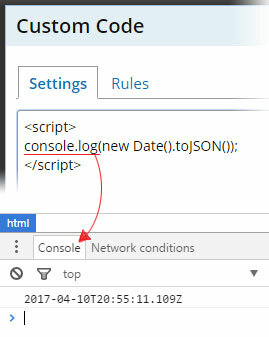 Use the ‘alert’ or ‘console.log’ to communicate important values in the script during development. The ‘Source Code’ button in the text editor is virtually identical to the Custom Code item in the form. 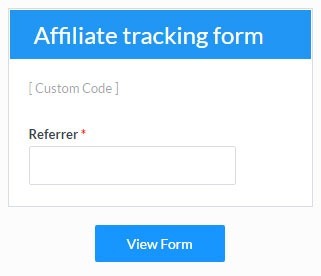 Tracking code: Google Analytics tracking and Facebook tracking are typically added to count the number of visitors that complete the form. Form completions are counted from the form’s Success Page, so the conversion tracking code should be added there. 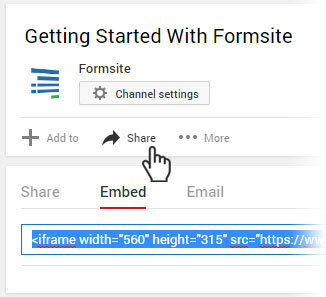 Embed Videos: Use the Custom Code item in the form with the embed code provided by YouTube to show the video in the form.